High-volume roofing contractor is celebrating its 14 year anniversary. "Jasper has experienced learning curves since 2004, but we have continuously gained industry knowledge. We are the number one residential roof replacement contractor in Florida-hands down," says Brian Wedding, CEO & President. One of the largest names in the roofing industry is celebrating its 14 year anniversary. Jasper Contractors, Inc. was established on May 4, 2004 in Indiana. Originally Jasper began as a new construction contractor, but after Hurricane Ivan hit the Gulf Coast, CEO and President, Brian Wedding, relocated to focus on replacing damaged roofs. The restoration industry rapidly increased after Hurricane Ivan and Hurricane Katrina. Communities needed help in the aftermath of Mother Nature. 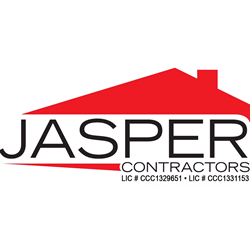 With years of industry knowledge, Jasper Contractors was able to develop a process that continues to work today. Their team members help customers navigate the insurance claims process and in turn, it makes these major home improvement projects less stressful. Many of Jasper’s roof replacements are completed in one day, including clean-up. Jasper Contractors is a multi-year recipient of the Owens Corning High Volume Award and is a Platinum Preferred Contractor. The company just opened its sixth office in Melbourne, Fla. with plans to continue expanding organically and through the acquisitions of small to mid-size commercial roofing contractors.